Halfway Home Animal Rescue Inc.
Halfway Home Animal Rescue Inc. is a registered tax deductible charity that rescues animals that are on death row. They are placed in foster care and all their medical needs are taken care of. We then find them the perfect new family. No animal is rehomed without being desexed, vaccinated, heart wormed tested and treated, wormed and micro-chipped. 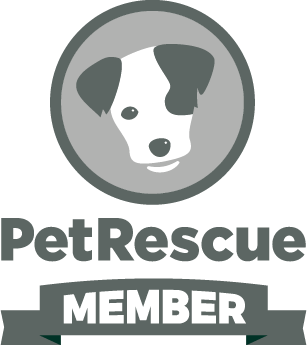 We are passionate about what we do and strive to educate the public on the importance of responsible pet guardianship. 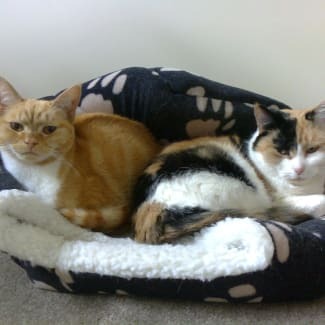 Please watch the girls in action: https://youtu.be/qUlvte3UMXM Mia (approx 9 years) & Gaby (approx 7 years, ginger) are mother and daughter and very bonded. They are both very affectionate but are a little unsure when first meeting new people but come around once they feel safe and secure. They need to find a home together as they are very bonded and rely on eachother for security. If you would like to apply please go to www.halfwayhome. org. au and click on 'adoptions'. Their adoption fee is $200 for both.